This delicious, intensely chocolate pie is filled with a homemade dark cocoa pudding then topped with homemade whipped cream. Combine cocoa, sugar, salt, and cornstarch in a medium saucepan. Gradually blend in milk, stirring until smooth. Cook over medium heat, stirring constantly until filling comes to a boil. Boil filling for 1 minute, stirring constantly. Remove from heat; blend in butter and vanilla. 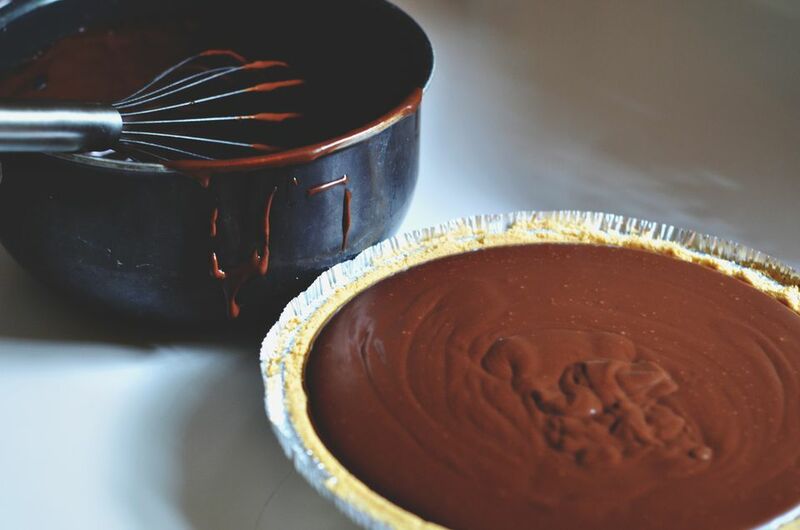 Pour into baked pie crust. Carefully press plastic wrap directly onto filling; cool. Refrigerate for 3 to 4 hours; remove plastic wrap. Top with whipped cream or whipped topping and garnish with chocolate shavings, if desired.